When you enter in a lot of data into one or two forms in the system, you may wish to set these event forms as Favourites to help speed up data entry and access. Favourites enable you to quickly enter in data, access reports and access excel reports for that specific form. Favourite Events appear at the top of your event lists on the Sidebar and also on the Home Page. They enable you to quickly enter in a new record, access Reports and even access any Excel Reports setup from that Event form. The image here shows Events that have been set up as Favourites. They appear at the top of your home page for fast access, and you can enter in new data, and access Reports that you have saved using that Event form. 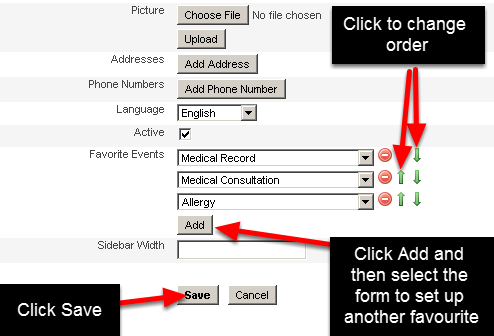 N.B click "Add" again to add in an additional event forms as a Favourite. 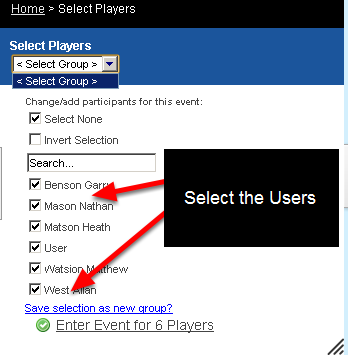 The form at the top of the list will appear at the top of the sidebar (see the image below) and it will be opened to show all records. Any other forms you add as favourites will appear underneath the first form (you can use the up and down arrows shown here to ensure the most important Event is first). 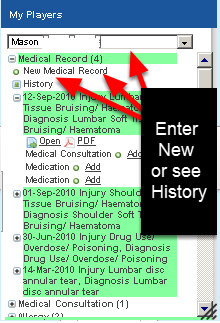 All of the Favourite Events will appear at the top of the Home Page as well (as shown in the image in the step below). 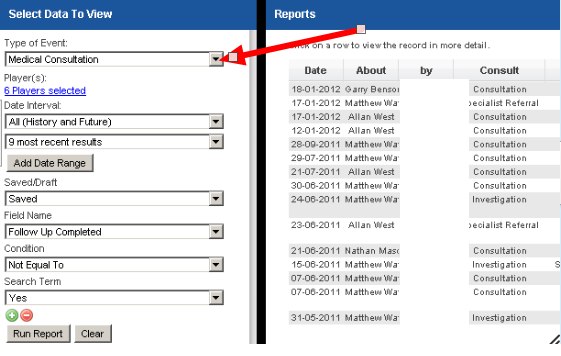 The example here shows that three reports have been saved using this Favourite Event. 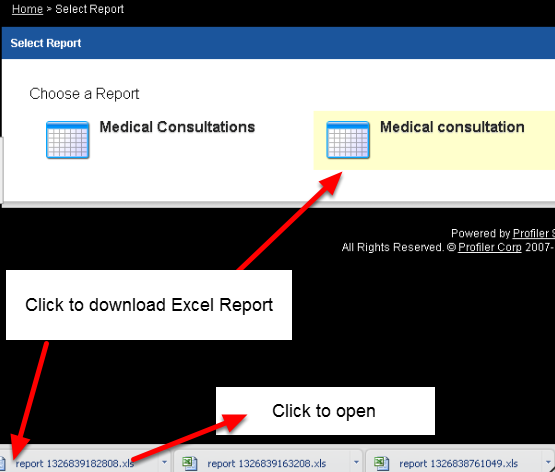 You simply click on one of these reports to be taken to the Reports Page to see this report (as shown below). The example here shows that an Excel report created from this Event Form has been selected to be run. It will appear in the users downloads ready to be clicked on and opened (as shown in the step below). If you need to change the order of your favourites use the green up and down arrows, select a different one from your selection list (click on the drop down arrow and select a new one) or delete a Favourite Event (click the red delete button and then click "Yes").